At TGM, we’re suckers for reclaiming disposed of goods. We’re also crazy about surf and skate culture. You can imagine our excitement when we stumbled upon 2nd Shot. 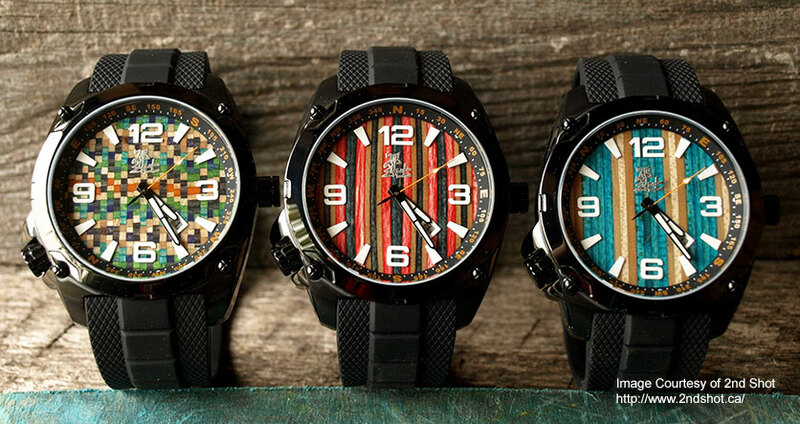 2nd Shot reclaims old and broken skateboards and builds these incredible artisan watches. Yeah, we love it. Keep up the good work guys!